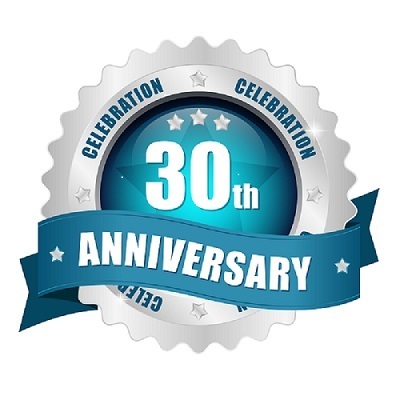 Benda Manufacturing is celebrating 30 years in business. The Tinley Park, Ill.-based manufacturer builds conveyor systems and controls for specialty markets, including food processing, contract and OEM packaging, and pharmaceutical. Benda Manufacturing in Tinley Park, Illinois celebrates 30 years in business. “You don’t spend a lot of time thinking about what your company will look like 30 years down the road. So when you get there and think about all the customers you’ve helped, it is really rewarding. Many of our original customers are still with us." The Benda family incorporated the manufacturing company that bears their name on April 1, 1986 with a 1,200-square-foot facility in Lockport, Ill. In the beginning, George Benda handled sales and engineering while his wife Shirley managed all parts ordering and accounting. After working day jobs, the couple’s six sons would come into the shop and build the conveyor equipment. Today, the Benda family has ushered in a new era of innovation for the company by marketing complete system solutions equipped with robotic and automation control. All six sons remain executives of the company which has grown to more than 50 employees, and includes an on-staff team of mechanical, electrical and robotic engineering experts. Benda installations span the globe. Conveyor systems meet USDA, FDA, 3A Dairy, BISSC and UL standards. Still, with all the milestones over the past three decades, the company’s founding values remain intact: a corporate culture emphasizing respect and compassion, teamwork that maximizes individual and company potential, customer-centric thinking, pursuit of the most innovative solutions, and a healthy work-life balance. Benda Mfg. has long been proud of its made-in-America roots. Even machine parts used by the company for its product handling systems are sourced from American-owned companies. “When we buy American, we’re helping to support other families and their local and state economies,” said Terry Benda. Benda Manufacturing, Inc. is located at 18501 Graphics Court in Tinley Park. To receive product updates and news, visit the Benda Manufacturing website at http://www.bendamanufacturing.com. For more information, call (708) 633-4600.